Finally I am sharing an updated Hair Tutorial!!! 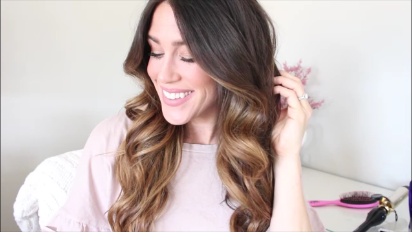 I wanted to show you how I do my everyday curls and share a quick bit on my hair care routine!!! I hope you find this helpful and let me know of course if you have any questions!!! So first and foremost, I only wash my hair maybe twice a week. I like to get longevity out of my hair because I have pretty thick, coarse naturally frizzy hair. My hair just doesn’t need to be washed everyday. I do find that the products I use help to keep my hair going through the week. I find my hair is healthier now that I wash less! When I need a little love to my hair throughout the year, I always use a little dry shampoo. THIS dry shampoo I have used for years now. This is the only dry shampoo that ACTUALLY leaves my hair clean and refreshed. Its the best of the best! I started using this hair oil last year and I haven’t gone back. It leaves my hair looking so shiny and healthy! I absolutely love it! Let me know your favorite hair products and again let me know if you have any questions about my hair!